Yesterday Time Magazine released a screenshot of its newest cover. The cover instantly started trending around the internet because the majority of people find it hilarious/just plain bad. Now, Time Magazine has actually joined in the fun and is sharing the hilarious memes created from that cover themselves. Earlier today I wrote a post about this entire cover story/fiasco. Hundreds of other news agencies around the world have already commented on this surprising cover choice but many Fstoppers readers seem to actually like it. Some of our readers have painted me as a bully for even bringing up the cover. Other readers have commented that they believe the entire thing was a setup; a genius attempt at a viral marketing campaign. These people are suggesting that Time Magazine purposefully published a terrible cover to get more, free media coverage (like this very post) about the new issue. 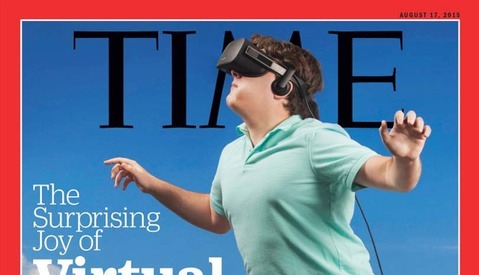 This theory seemed pretty far fetched to me but the subject of the cover, Palmer Luckey, has joined in the fun of mocking the cover himself by changing his profile picture on his Facebook page. Time Magazine has now taken things a step further by posting the most hilarious memes on their own website. Obviously they don't mention anything negative about the image/cover itself, but they at least seem to have a good sense of humor about it. So the question now becomes, did Time Magazine purposefully publish a bad picture to get the internet excited about this story/issue? I still don't think so. It's too risky. How could they have predicted this would have happened? It also lowers their perceived value in many ways. If I were in charge of Time I might publicly admit that it WAS a marketing ploy at this point, even if it wasn't, to gain some respect back, but I don't see that happening. So then why are they posting about the jokes now? Easy pageviews? Making the best of a bad situation? Or is everything going exactly according to their master plan? What do you think? Could they have possibly published a bad picture to entice the internet into making memes and in turn getting me to write this very post? 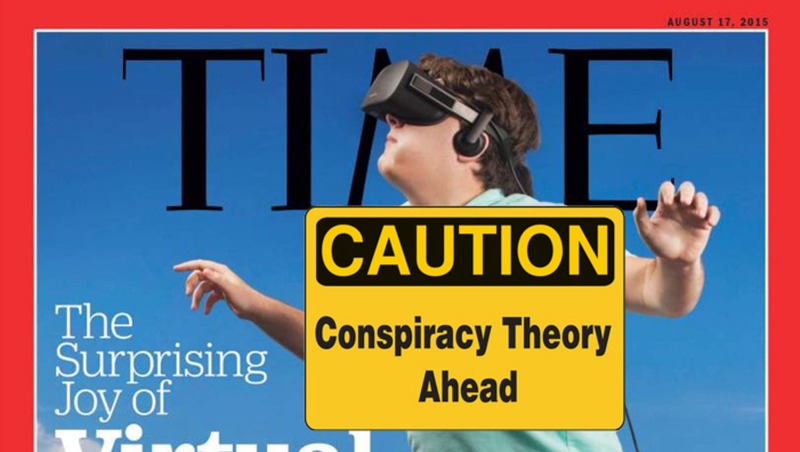 I can't jump on that conspiracy theory bandwagon just yet but one thing cannot be debated; This cover image has given Time Magazine a new audience, and in turn will make the magazine a lot of money. So you actually believe the image was bad on purpose? The idea of creating something bad on purpose is ridiculous.. I don't know any artist that would purposely do something bad. But sharknado was never held to a certain precedent. Time has always been held to a very high standard.. it doesn't make sense for them to just be like.. "eh.. screw it!" If It was indeed a plan, it was pure genius. For some reason, it reminds me of something Gary Vaynerchuck would recommend to do. No debate ... the picture is shocking. But it's very effective and people start talking about it (even we do here!) the Internet goes mad creates memes and photoshopped images. When this was to a certain extend expected it's genius ... we will never find out! 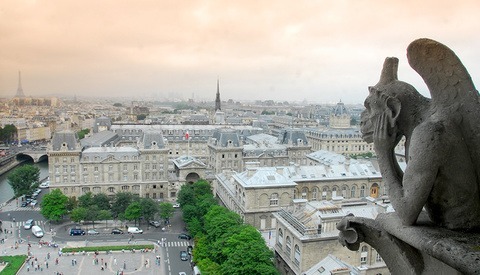 It's actually so good that FStoppers posts a second article about this bad photo. Yeah, it has people talking about it. However, it in no way makes me want to go out and buy it. Completely disagree with that last statement about this making them lots of money. I've worked in publishing and magazines for the past 10 years. Newsstand sales are absolutely nothing in terms of profit. Any uptick in newsstand sales from this stunt would never make enough money to justify possibly tanking the brands image of quality. People are seeing the cover online. That's enough for them, most won't run out and buy it. It would take selling extra tens of thousands of issues for it to be noticeable. Why not? It's free publicity! I don't believe they intended it, I think it's just another symptom of the dying of the genre. But their reaction reminds me of something many years ago in the Paleolithic era before the internet (and Lee you're probably too young to remember this so...): In the months before Charles & Diana got married, there was WILD speculation as to what her dress would look like, as in, armed guards outside the workshop of the designers, David & Elizabeth Emanuel. One day one of the British tabs published a story that in fact there were three complete designs and three complete dresses being made, so that even if the shop were broken into not once but twice, there would still be a dress that the world had not seen (and in 1981, trust me, we were ALL watching). After the wedding, the Emanuels revealed that the story was a complete fabrication (no pun intended) but had been so helpful to them in security as everyone thought it made perfect sense, that it would have been stupid of them to deny it. So if Time is letting people think, yeah we MEANT to do that (which I doubt), it's only to save face and milk it for whatever they can get out of it -- as surely no one actually reads Time anymore. I honestly think there wasnt that much thought in it. They probably had ten mins with the guy and this was thr best shot. Its not photoshopped like your last post claims, hes jumping in front of an image of a beach at facebook hq. I mostly just find it mundane and inoffensive. We're all saying it's "bad." But what is it really? It's "meme-able." I think they made it "meme-able" on purpose. And, being "meme-able," it's not really bad. It's good. It's a new kind of good. i think that this was their cover (still might be) but after the beating on how bad it is they are trying to play it off as a hoax. i don't follow Time so i have no idea if it made it to print. it's horrible and they know it. someone is gonna sweep some floors for this one. i think that any high school graphics kid could have come up with a better one than that and achieved the desired result. and it will not sell more copies being so bad.